It’s easy to be a member of the Republican Party, and to participate in official GOP events. The Stafford County Republican Committee (the “SCRC”) is the governing body of the Republican Party in Stafford. The SCRC decides methods of nomination for local offices, organizes local Republican events, and helps support our candidates in numerous ways. 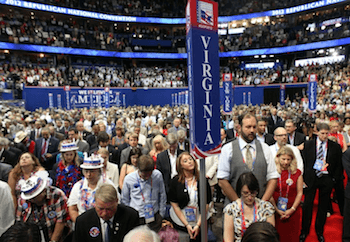 We don’t have voter registration by party in Virginia, but if you’re in accord with the principles of the Republican Party, and are willing to declare support for our candidates, then consider filling out a membership application to join the Committee. What does that mean? Well, it means that you’re qualified to participate in Party-run elections, such as canvasses (also known as “firehouse primaries”), mass meetings, and as a delegate to GOP conventions. That means that you can have a say in how the Republican Party is run, and who our nominees and Party officials will be. If you are not sure you want to be an official member, you can still sign up for our newsletter for more information below.